La Pau Rustic is an attractive country house with a beautiful rustic touch. Fantastic outside area with a pool and jacuzzi surrounded by a lawned garden, covered terrace with chill-out and barbecue. 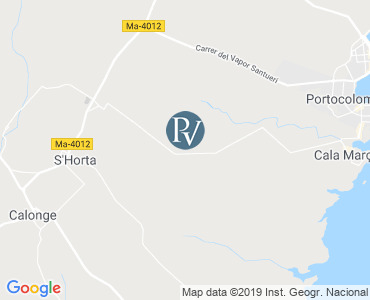 The house is located in a rural area, only a few minutes' drive to the beach Cala Marsal in Porto Colom, the small locality of S'Horta and Cala D'Or. Bright, two-storey house. On the ground floor is the open living/dining room with access to the pool area. Open island kitchen connected with the living room and a second dining room. Guest toilet. Double bedroom with en suite shower room. On the first floor, there are three bedrooms a Double bedroom with en suite shower room and a twin bedroom with en suite bathroom. The master bedroom has a double bed with integrated bathroom -bath and shower. It has also access to a terrace with panoramic views of the country and the coast at the far end. Pool size: 10 m. x 6 m. Depth min: 0.90 m. Depth max: 2.00 m.
My family and I stayed at La Pau Rustic near Cala dor and had a wonderful week. The location was quiet with beautiful gardens. The house itself was well equipped and Premier Villas were always very responsive over any issues or requests that we had.